This is a SUPER DOOPER question and one that challenges many of us creatives. Firstly though, the fact that you have asked this question is fabulous so give yourself a pat on the back, as it means that you are thinking about your business product pricing seriously and you are not giving away your handmade products as a labour of love. (which is also fine btw - if you are running a hobby not a business). For those of you that already have a job and your goal is to replace the day job, you may choose to use your current hourly rate to start with. For those not earning what they want to earn, you may jump to calculating the hourly rate from a salary that takes your fancy. Some of you may feel a bit awky about choosing an hourly rate, so your option is to add on a profit amount - go careful with this though as some of your handmade creations may take longer to make than others, you do want to have some consistency with your pricing to encourage your customers to trust they are getting a fair price. Another option is to research what it would cost your business if you were to take on a staff member. Especially if you have a longterm goal to grow, you may need to consider at some stage paying an hourly rate, GST or VAT and Superannuation contributions perhaps. Which ever way you choose to select your rate, the most important part now is to ensure you are incorporating the charges for the time you spend creating your product into your 'Cost Price'. Now for some of you, you may have lots of different techniques that you may need to consider. As a jewellery maker I would often find that the time I spent on a new technique/design would often shorten the more I practiced, so be sure to re-asses the timing of your labour, to ensure you are charging correctly. Then when you feel that you are more experience, you may decide to increase your rate (you are after all the boss now, so don't forget to give yourself a pay rise). Remember your day job, there is someone being paid to do all of the above, don't think for a minute that just because you are running a handmade business that you don't qualify to charge for it as well, just remember, who would you be paying if you had a staff member to do your job! That's right - make sure you pay yourself and know your worth. Does this sound familiar? Does this sound like your negative self talk? Is it shortly followed with a burning sensation that connects with feelings of inadequacy, a little bit of jealousy and a low self esteem? Only to be wrapped in a deep upset that you want to be successful so badly but you just can't see yourself getting there and 'how is she making it look so easy?. Okay darling, let me pour you a Kezza strength G&T and give you a sisterly slap around your beautiful chops. JUST STOP. It is not sustainable to be stuck in the rut of a comparison trap, your business will fail little by little bit by bit because your energy is focussed outwards not inwards. If you are going to look at another creatives business, look at what they are doing right and acknowledge how wonderful it is with humble appreciation, perhaps consider professionally critiquing what could be done better, look at what works and acknowledge that there are awesome business women out there - JUST LIKE YOU. Try not to allow your developing self esteem and confidence be reduced because you didn't have the strength to think positively about what you are creating. Understand that nobody in business has all the answers and that we are all learning something new every single day, we are all making mistakes and we all have off days. Creating a small business to a level of success that replaces a consistent income takes time, it takes patience, resilience and lots of mistakes. You need to go out into the world and put your flag in lots of places pointing them to your place. You have got to get busy being so good that everyone else is looking at you and admiring your work. You have got this - get out of the comparison trap and get busy loving your work. About 10 years ago I took a leap of faith and restarted my life moving from the Beautiful Byron Bay in the Northern Rivers of New South Wales Australia, up the coast to the stunning Beaches of Noosa in the Sunshine Coast. I found in a fantastic little spot overlooking the river at Gympie Terrace and during this time of renew, I made a decision to write ever single day. I'd make myself a cup of coffee each morning and I'd open up my A4 Black and Red hardback book and after pitching the date in the top right hand corner of my page I would release. Now for a 30 year old who had just moved to a new town, you wouldn't think I would have too much to write about however I was brimming. I would list all the things I was grateful for in my life as well as write about what I wanted to create in my life be it things, experiences and people. I would create how I wanted my life to be on paper and I would consistently give thanks for all that I had. I had recently discovered how to write positive affirmations so I would create them to help me feel better if I was feeling low and many times I would attempt to manifest the Australian Visa I had applied for at this time. I would write what could be considered spells, to release me from my failed marriage and I would also write hilarious and encouraging letters to friends. When I look back now I realise I was writing to heal and to create, I was releasing all the elements in my life that either needed to be gone or I was developing new experiences onto paper. It was massively healing and freeing and I felt like I was carrying less and less on my shoulders the more words I wrote. I love writing and I am not just talking about creating content, but the actual physical act of writing. I like a clean, curl and crease free page of paper usually on the right hand side of a preferably new book ready for ink. I absolutely love a smooth pen that glides across the paper, you know the type, the one you borrow and it writes so perfectly that you actually consider keeping it! It doesn't have to be a fancy pen with a fancy price tag either, in fact I have fallen for those old ones with an attractive click everytime the ball point lifts off the page. Writing works for me, so I write my to do lists, I write my plans, I write when I am stressed and I need to heal and I write when I am creative and I want to share. It's pretty apt that I have ended up creating tools for us creatives that encourages you to step away from the computer and smartphone to slow down and write it down. Writing is good for relaxing as it is quite meditative, your brain will focus more on the words so you can easily transfer all you are holding on to in that moment with the power of the pen. Most importantly, it reduces stress and overwhelm by simply slowing down. You simply do not need to remember everything. Write it down, if it is a to do list item, a process, or how you feel - release it to a page and watch your shoulders relax, your head will calm and you will be breathing easier. Here's a few other examples of how you can bring writing into your business world and reduce the overwhelm. Write a story about why you started doing what you do and why you are motivated to run your business. This is a fantastic opportunity to describe how you feel about your craft, to share what drives you to do what you do. You could use this as a point of reference on a tough day, you could share this with your customers so they can get to know and trust you more. Write down 3-5 tasks that you must do each and every morning to become your morning process. These are non negotiable items that must be completed that will help your working day. Set the foundation of each day with these tasks to set you up for success, then have that yummy satisfaction of crossing them off your list as you complete them. Writing about what you are grateful for will really change your emotional set point. Make time in your day to write down all the things in your business that you are really happy to have. At first it may be a little difficult and feel a little odd being thankful for some of the most obvious things, but keep at it, soon you will start flowing with thanks for a multitude of elements and it will bring with it a naturally good feeling. (This activity works wonders when changing the subject matter from 'Your Business' to 'Your Life'). Bend your brain a little. 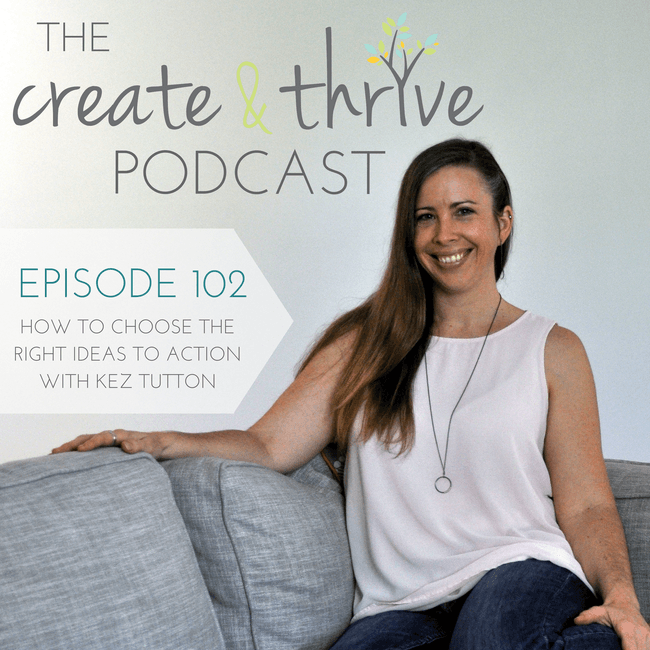 Feel stuck in a rut, doing the same processes over and over again? Well get creative with some writing and make a new pathway in your brain to something amazing. Think about the nonsence in the story line of Alice in Wonderland, a talking Cheshire Cat? A Mad Hatter? Fantastic nonsense, give it a crack and see where it goes. Starting, developing and running a small creative business has it's moments. There will be days when you just don't know where to start because there are so many things to do, they may need to be done in the right order, you can't do this because you haven't got that and before you know it you have lost 5 hours in social media ahhhh. Take some or all of your business tasks and place them in a weekly roster to prompt you to accomplish what you need to do and when. Need to order more findings? Check your stock on Friday before driving to the wholesalers on Saturday. Do you prefer to create all your social media in one hit and upload it into a scheduler? Write down the best day for this to happen so come next week you social media feed updates are flying out the door. If you have any area's of your business where you specifically choose to write over type, share them here. Or if you attempt any of the above for the first time, let me know how you go. 5 things I learnt when the computer said no! So I needed a break. My original plan was to visit a women's retreat in the Sunshine Coast Hinterland. It was a place I had fond memories of after completing the course 8 years ago and I was especially keen to return, as I had previously experienced quite a life changing epiphany there. I think there was a small weird part of me that thought I could create that again. After 3 failed attempts to book the dang thing online a little question came to me asking if I should really be going back? Why chase something you have already done. Why not create something new? So I flicked the webpage and chose a spot on Air.BnB, packed up my computer, my work and decided to have a working holiday. 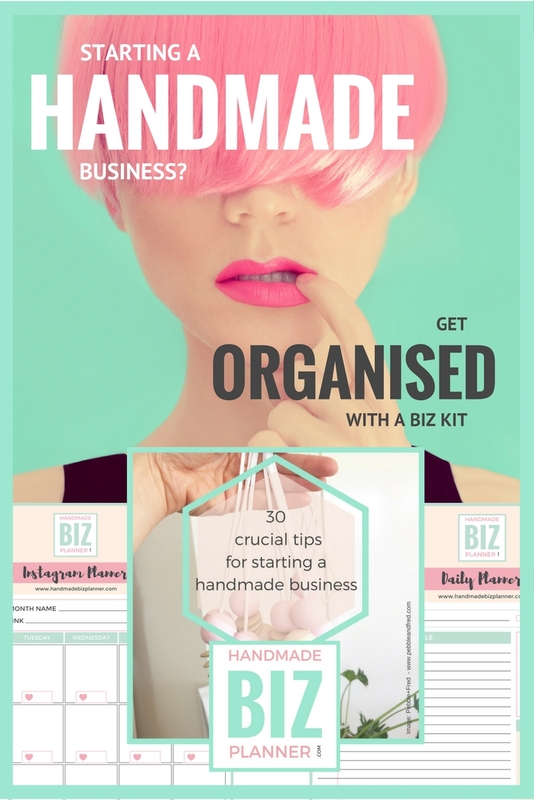 Me, Myself and the Handmade Biz Planner. So instead of going down the Byron Bay (which is my old stomping ground when I first moved to Australia), I went to a little tiny town called Billinudgel just north of the shire. Now when I mean tiny, I am referring to a newsagent, a corner store and a pub. That's pretty much it and I have to say it was perfect. The less wine bars and distracting places the better for my focus. The place I stayed was called 'Sanctuary Farm Stay' it was run by Heidi, a super friendly and bubbly host who was always free for a chat and super keen to help with anything. There were 2 horses to feed apples, several saved dogs, my special fav was Trinidad a gorgeous pooch that would pop by to say hello and talk to me. (yes she talks). All was well with the world when I arrived and set up until I went to set up my Mac Desktop. Yes for some stupid reason I put it in the boot of the car and brought it with me. So the wireless keyboard chose not to pair with the computer which was really odd. I'd had small issues with this in the past but nothing like this. I changed the batteries, attempting to get the computer to read it, but nothing. So I resigned myself to (several) Friday night drinks with my girlfriend on top of a hill watching the sun set and the moon rise. This was the moment when you slapped your head, this was the Homer Simpson 'DOH, this was the kick something in frustration with yourself moment! Needless to say, the time was not lost, I had my old knackered windows laptop in my bag that sounded like a lawnmower after the fan would kick in after 5 seconds. She did the job for the next 4 days. So after nearly getting flooded onto the property after a massive belt of rain dropped on us for 2 days (great working weather), I happily made my way home. I achieved lots and whilst I wished I could have achieved more I realised that when it comes to running a small business that there will always be work to do, and often you won't complete as much as you originally intended to and that is okay. Ultimately a great time was had, I got to spend some quality time with my good friend. Plus I got to have some time for me and my business. It was a gentle, productive and wonderful experience. I'm looking forward to the day I take my work full time, and perhaps then I'll invest in upgrading the dusty old laptop. Until then - she got me out of a tight spot! If your mind has started thinking ahead to, 'How can I make my Instagram process better' then look up the desktop application 'Grum.co', the Instagram auto scheduler. I saw this application recommended in a creative community and it has really helped me organise and plan my Instagram feed to the point where I don't have to worry about it during the week when I am at my day job. The first part that I like about Grum, is that is it super easy and simple to use. This makes the processing of my Instagram upload nice and clean without too many actions. Simply click on the + add your image, content and tags and a smiley face or two if you fancy. ...which is important for branding. You can easily see the flow of your feed with the Instagram style layout, this helps you to be consistent in your message, imagery and quality of work. This is a huge bonus as it encourages your brand to take shape until the time comes that the returning customer knows who you are in a moment of looking at your work. The flash test at its best. I especially like this layout if I have a challenge running, as I can feed any acute OCD moments by uploading my images in exact orders or patterns. The pricing is reasonable at $9.95 for 2 accounts making it affordable and on par with other applications that you would use when setting up your small biz. I was super luck to get a lifetime deal for $25 through AppSumo it might be worth hanging out in that space to see if another super deal like this comes your way, if it does, don't hold back. Its worth every cent. Quiz Question : Where do you stash your scissors? Oooo good question! Okay, okay I know this one hang on... right so I keep a pair of scissors in my top cutlery drawer in the kitchen, I also keep a pair of nail scissors in a see through nail kit bag in the bathroom. (I think that original bag came from the freebie toothpaste pack from my last visit to the dentist, anyway digressing). Oh! I have another pair of scissors that I accidentally acquired (honest) from the family trip to the Cape, they are in the craft tool box on the shelf with all my bead stuff...ummm finger tap.. OH I have another really super sharp pair (for sewing apparently), those are in my bead travel bag. (That bag was a freebie too with the hairdryer). Ummm, I think that's it, yep that's all the scissors in the house! Please don't ask me where the tape is though I haven't got a bloody clue! Okay so the key message of the above story is to highlight that its all very well knowing where your scissors are, but if you can't find the tape, the thread, the wire, your fav blue beads - how are you going to finish making your products without your labour costs going through the roof? Put simply you can't, so instead of spending the next 15 minutes looking for them, getting totally distracted along the way, you are going to tidy up your workspace so you can work more effectively and save more time right? Wrong. Look, I'm not saying working in tidy environment is bad thing, it is potentially a lot less stressful having less clutter around, but it isn't the complete answer to improving your productivity, I mean seriously any crazy can throw stuff in a draw and hide stuff out of sight right? The key to getting super productive especially in a creative business, is ensuring that every item has its 'place' and you know where that place is. The other element, is to make sure your items are always returned there. Think about it, are you a jewellery maker constantly looking for a particular finding, Do you make products out of card and have all your card colours mixed up. As a painter do you know what you did with that burnt sunset orange acrylic tube? Creating awesome storage for your creative tools and materials doesn't have to be difficult or expensive and it can actually be quite a relaxing process to maintain. By making items easier to get to or easier to see can help streamline your production time, your stress levels and the overall success in having a productive day. To inspire you to create time some saving storage idea's I have put together a heap of storage ideas in Pinterest for you. Here you will also see the work of @kathyrac (imaged) who has done an incredible job of creating a storage space for her pens. I'm having a little creative drool over that mint set! Ensure a house rule if someone borrows your stash - put it back! Now before I go, where do you stash your scissors?